Beautiful Hand Woven Vintage Anatolian Tulu Rugs, View one of the most comprehensive collections of Turkish Rugs & Carpets. 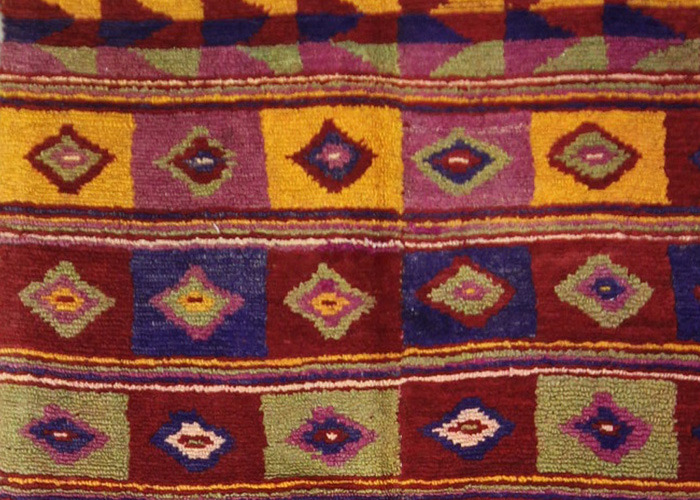 Tulu is basically a kilim or a plain weave with tufts of wool, goat-hair yarn or thin strips of cloth interwoven using the Turkish knot to form tuft patterns on the underlying design. 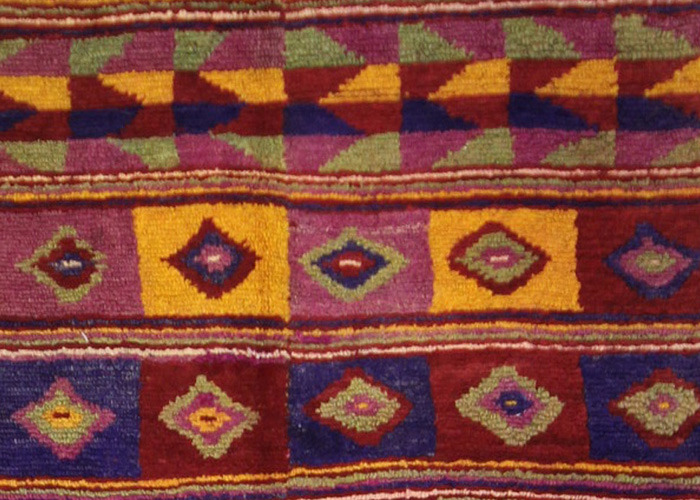 This rug is around 40 to 50 years old and very good condition.